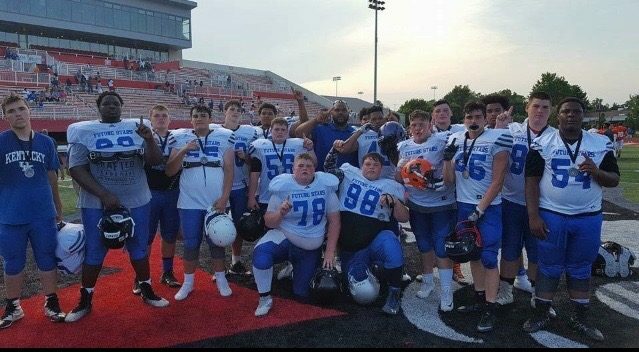 LOUISVILLE, Ky. (9/10/18) — The Kentucky Associated Press released its high school football polls on Monday. Pikeville (Class 1A), Mayfield (Class 2A), Boyle County (Class 3A), Ashland Blazer (Class 4A), Covington Catholic (Class 5A) and Louisville Male (Class 6A) are ranked first in their respective classes. The top teams in the Kentucky Associated Press high school football polls, with first-place votes, records, total points and previous rankings, follow. Others receiving votes: Williamsburg 26. Phelps 17. Lou. Holy Cross 8. Fulton Co. 7 Eminence 5. Russellville 3. Pineville 2. Bellevue 2. Bishop Brossart 1. Frankfort 1. Others receiving votes: Shelby Valley 10. Washington Co. 9. Carroll Co. 4. Clinton Co. 2. Cov. Holy Cross 2. Todd Co. 2. McLean Co. 1. Murray 1. Neport 1. Hancock Co. 1. Others receiving votes: Lou. Waggener 10. Floyd Central 10. Badstown 9. Western Hills 7. Elizabethtown 3. Russell 2. Bath Co. 2. Trigg Co. 1. Powell Co. 1. Others receiving votes: Hopkinsville 17. Franklin Co. 15. Rowan Co. 10. Hopkins Co. Central 9. John Hardin 8. East Carter 7. Russell Co. 6. Warren Central 5. Mercer Co. 3. Bourbon Co. 2. Scott 1. Others receiving votes: Owensboro 18. Christian Co. 13. Bullitt Central 10. South Laurel 7. Pulaski Co. 4. North Laurel 4. Grayson Co. 3. Montgomery Co. 3. Lincoln Co. 1. Marshall Co. 1. Others receiving votes: Lou. Ballard 17. Madison Central 16. Campbell Co. 15. Daviess Co. 9. Conner 6. George Rogers Clark 1. 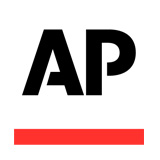 AP members voting in this week’s poll (18): The Daily Independent, Ashland; Daily News, Bowling Green; Kentucky Enquirer, Cincinnati, OH; Times-Tribune, Corbin; The News-Enterprise, Elizabethtown; KPGFootball, Owensboro; Daily Enterprise, Harlan; The Gleaner, Henderson; Lexington Herald-Leader, Lexington; The Courier-Journal, Louisville; The Ledger Independent, Maysville; The Mayfield Messenger, Mayfield; Owensboro Messenger-Inquirer, Owensboro; The Paducah Sun, Paducah; Times Leader Princeton, Princeton; WDKY, Lexington; WKYX, Paducah; WSON, Henderson.